It’s National Scrapbook day on Saturday, and coincidentally I have been getting a lot of questions from my friends and family about starting their first scrapbooks. On one hand, as someone who has been doing this for over a decade, the thought that there are still people out there who don’t do any sort of memory keeping hurts my heart. On the other hand, I am so happy that these people are starting to get interested in scrapbooking and have come to me for help. Paper: patterned, coloured, textured or otherwise. If you know what look you’re going for, you can buy loose pieces at Michaels or other craft stores. If you’re not too sure, I recommend buying some type of paper pad. These things often come with embellishments that match, which is a bonus! Scissors: a good pair of scissors can go a long way. Adhesives: I prefer to use double sided tape, but glue works too. Make sure whatever you’re using is acid-free so that it doesn’t ruin the very things you’re trying to preserve: your pictures. Embellishments: A little can go a long way. Choose whether you want to pick up some washi tape, stamps, brads or stickers, but know that you don’t need them all. Maybe it’s because I have been doing this since I was a tween, but I have so many pages that I now look at and want to change. The key to this is embracing the change and growth in your style and technique. When I look at those first pages now, not only does your page tell the story of the photos in the page, but it also tells the story of who I was at the time I made the page. Embrace your pages and allow yourself to grow within your creativity. Albums don’t need to be in any specific order or follow a specific pattern. I have albums that are chronological, alphabetical, and even completely random. There is no rule to memory keeping. You can journal, have pages with just photos and even have pages without photos. Try different things and find your groove. 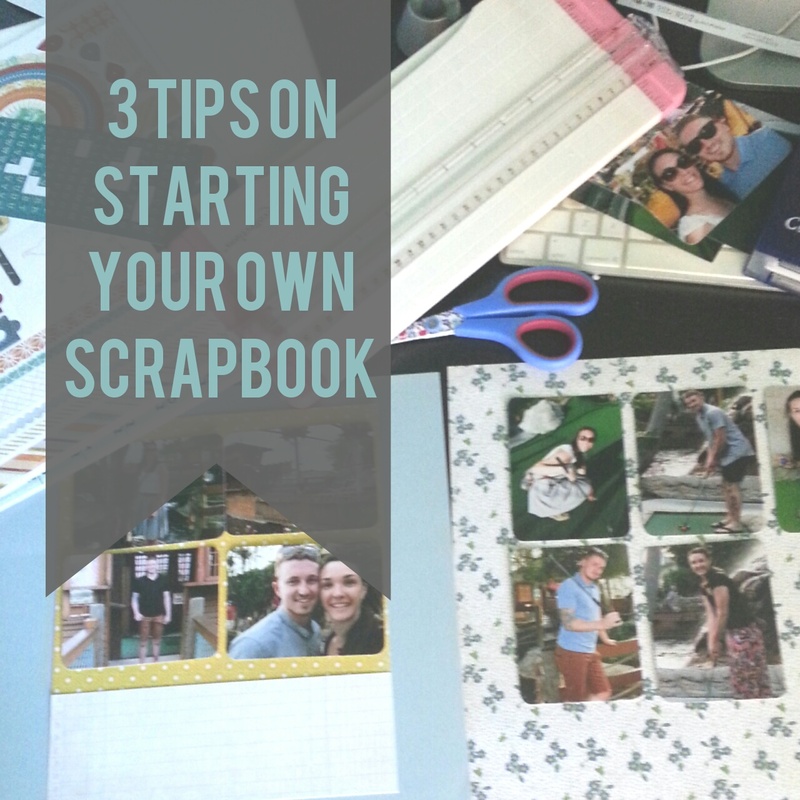 If you have any tips or questions for starting your first scrapbook, feel free to leave a comment below! I’d love to hear from you. If you found this interesting, check out my post on 5 memory keeping alternatives of scrapbooking.